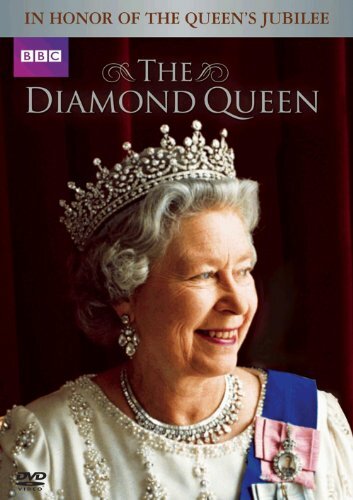 Celebrate Queen Elizabeth II's Diamond Jubilee year, the 60th year of her reign, with two new DVD releases. The Diamond Queen tells the story of the young girl who never expected to reign over the United Kingdom. The Queen's Palaces shares an extensive look into the history and architecture of the Royals homes in this special documentary series presented by Fiona Bruce. New York - May 15, 2012 - BBC Home Entertainment is proud to celebrate Queen Elizabeth II's Diamond Jubilee year, the 60th year of her reign, with two new DVD releases, The Diamond Queen and The Queen's Palaces on May 29, 2012. Marking The Queen's 60 years as Head of State of the United Kingdom and Head of the Commonwealth, The Diamond Queen tells the story of the young girl who never expected to reign over the United Kingdom. Sixty years after she acceded to the throne, this landmark documentary hosted by Andrew Marr looks at her role within the Monarchy and what she has accomplished for her country and her people both at home and abroad. Told over three hour-long episodes, it features interviews with prime ministers, world leaders and members of the Royal Family, and closely follows The Queen's working engagements around the world for the period of more than a year and a half. The Queen's Palaces shares an extensive look into the history and architecture of the Royals homes in this special documentary series presented by Fiona Bruce. Throughout these three remarkable episodes, Fiona reveals the treasures behind the gates of Buckingham Palace, Windsor Castle, and The Palace of Holyroodhouse. Discover the interior decor that surrounds the Royal Collection as experts contribute their knowledge of some of the world's most prized possessions. Furthermore, learn about the stories behind the creation of these incredible buildings. Over the course of the series, chronologies of historical moments that embody the essence of these prized properties are followed. As Fiona walks you through the palaces, objects and art of profound historic importance are showcased including some other quirky pieces of work. 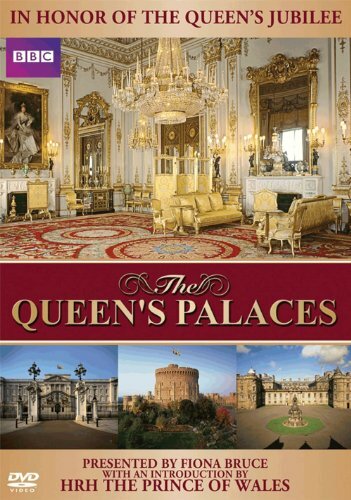 Bonus features include an introduction to the series by His Royal Highness The Prince of Wales, discussing the role these palaces play in the life of the Monarchy and in the history of Britain. The Diamond Queen will premiere in the U.S. on BBC America on Sunday, June 3 at 8:00pm EST, and aired in Canada on CBC News on April 21, 2012. The Queen's Palaces began airing in the U.S. on local PBS stations in February 2012, and premiered in Canada on TVO December 5, 2011.